This Handmade Sterling Silver Bracelet by Navajo Artist is Inlaid with Spiny Oyster or Spondylus Shell. 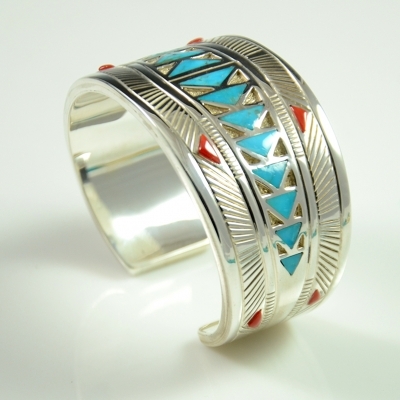 Sterling Silver Bracelet by Navajo Artist Leonard Gene. 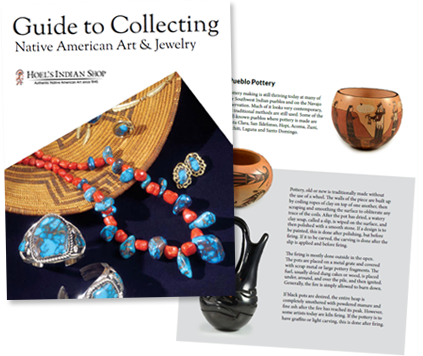 This very unusual 1950’s Indian Chief with headdress Zuni ring is inlaid with shell, jet coral and turquoise. 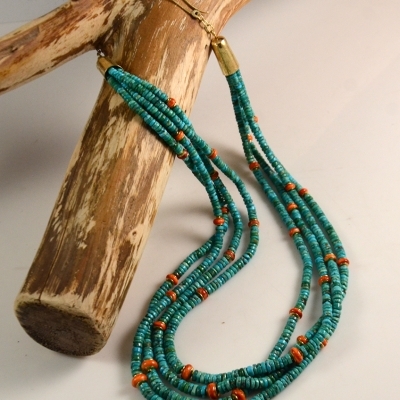 This Charming Bird Fetish Necklace was Hand Carved by Zuni Pueblo Artists, Sheldon and Nancy Westika.